Throughout the years we have supported many charities, here are a few of those years. Click here to see every charity we have donated to in the last 30+ years. The Law Enforcement Chaplaincy Sacramento (LECS) is a 501(c)(3) non-profit, charitable organization committed to serving law enforcement personnel and their families, victims of crime and tragedies, and the community at large. LECS is the only service of its kind that provides 24-7-365 rapid response teams alongside law enforcement agencies with on-scene emotional crisis support. Chaplains are experts in the aftermath of grief and loss. The Sheriff's Toy Project, an innovative collaboration between peace officers, non-profit agencies, private donors and businesses, was created to better serve less fortunate children and families. The program provides a character building environment for offenders, who work with law enforcement officers to help people who are in times of need or suffering from hardship. The Toy Project provides a connection between law enforcement, people in need and those in the community capable of giving. The Firefighters Burn Institute is a non-profit 501(c)(3) organization founded by Sacramento Fire Captain Cliff Haskell and the Sacramento Area Firefighters Local 522 in 1973, for the purpose of establishing a local burn treatment facility; providing recovery programs for burn survivors; providing fire and burn prevention through public education; funding education for burn team professionals, firefighters, and burn survivors; and supporting burn treatment and rehabilitation research. VIVA (Volunteers In Victim Assistance) is a full service center for victims, witnesses, friends and family members who have experienced a Violent Crime or Trauma. To provide students with the opportunity to graduate with a quality education and enter the world as productive citizens and life long learners. 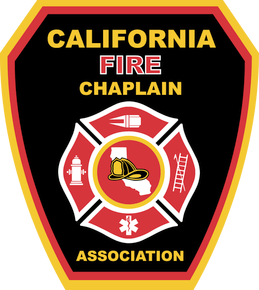 The California Fire Chaplain Association shall serve independently, non-denominationally and without compromise of personally held beliefs and convictions. The Chaplain does not take the place of the family minister or pastor, nor does the Chaplain promote doctrinal positions distinctive to his particular church organization or denomination, except by specific request of person(s) involved. Administering of any special sacraments, etc., shall be referred to a member of the clergy who subscribes to the tenets of the requested service and/or “religious faith” of the person/family being served. Program supervision shall be under the President/Executive director and the appropriate area coordinator. The Sacramento County Sheriff’s Department has a Volunteer Reserve Force of approximately 164 reserve officers, Level III through Level I. 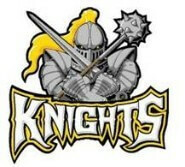 Our Reserve Program is highly regarded in the law enforcement community and an integral part of our daily operations.